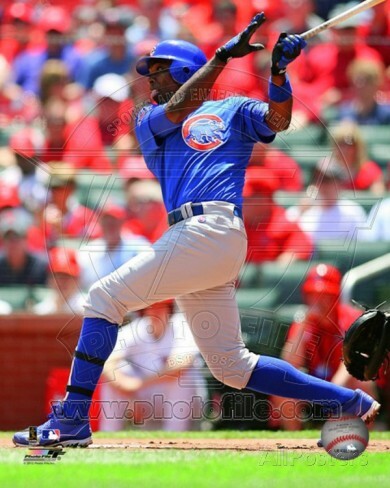 Alfonso Guilleard Soriano (born January 7, 1976 in San Pedro de Macoris, Dominican Republic) was a Major League Baseball outfielder for the Chicago Cubs until the summer of 2013 when he was traded back to the Yankees who were in desperate need of some right-handed power. Before joining the Cubs in 2007, in addition to the Yankees, he had played for the Texas Rangers, and Washington Nationals. Following the 2014 season, he decided to retire. "I've lost the love and passion to play the game," Soriano said at the time of his announcement. "Right now, my family is the most important thing." Soriano began his professional baseball career in Japan with the Hiroshima Carp, training at their Carp Academy for Dominican players. In 1997, he was promoted briefly to the varsity team, and, wearing uniform number 74, he appeared in nine games, batting .181 (2 for 17) with two walks. In 1997, Soriano earned a salary of $40,000. Soriano finished his career in Japan by retiring from his contract and signing as a free agent with the New York Yankees, using a loophole that had previously been used by Hideo Nomo. Below are stats for three of Soriano's most productive years. For his career stats, click here. Featured here are Alfonso Soriano posters, photos, giant collectibles and apparel.